Many were expecting markets to correct this weekend following a couple of days of solid gains across the board. The good news is that they have remained above $300 billion total cap level and Bitcoin has held its ground trading just over the key $8,000 level. The big daddy of crypto has remained stable in the last 24 hours gaining just over one percent, altcoins have also stayed largely in the green and the rally is holding up for now. As usual one crypto is outperforming its brethren this morning and that coin today is Iota. Coinmarketcap is reporting a 12% gain for Iota during the morning’s Asian trading session. Most of the other altcoins have remained at the same level for the past 24 hours but Iota continues to make gains. It is currently trading at $1.50, up from $1.36 this time yesterday. Volume has decrease though indicating that the bullish pressure may be slowing down. Over the week Iota has made around 50% from $1 this time last weekend. The monthly picture also shows solid gains of around 45% for this altcoin. Against Bitcoin Iota has increased by almost 10% to 18600 satoshis from 16900 sats this time yesterday. Over the month its gains against BTC have been even stronger at 20% from 13800 satoshis this time last month. The Internet of Things (IoT) based crypto seems to be riding on the back of the general wave of buying pressure over the past few days. 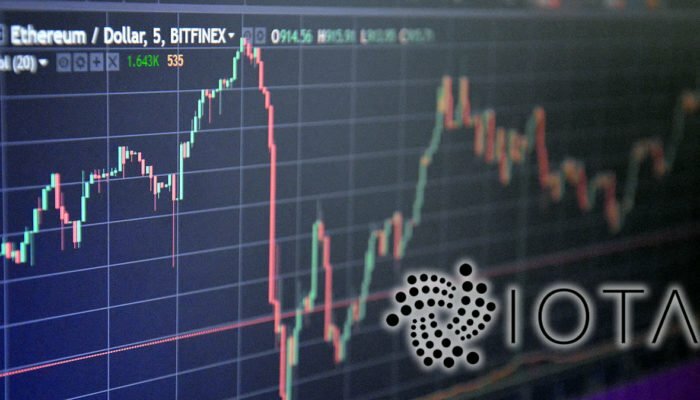 Falling to below a dollar several times over the past few weeks Iota has been viewed as a good buy. Iota developers have adopted a slightly different approach to regular blockchain cryptocurrencies and use a blockless based distributed ledger called Tangle. The team was hit with bad news back in January when $4 million in Iota was lifted in a hack that exploited the seed generation process used to access Iota wallets. Bitfinex currently dominates all trade in Iota with around 40% of the total volume, Binance takes second place with around 35%. Total trade volume has fallen over the past 24 hours from $88 million to $53 million where it currently stands. Iota is ranked at number 10 on the market cap charts with just over $4 billion, it peaked at $5.37 (43000 satoshis) on December 6. Total crypto market capitalization has remained steady in the past 24 hours and currently stands at $323 billion. For this to be considered a true market recovery it will need to make a new higher high above the $355 billion it reached during the rally on March 22. Other altcoins with strong growth this morning in Asia include Nem, Ontology, and Siacoin.